How was Pakistan, During Maha Bharat period? kekeya kingdom, Sindhu Kingdom, Madra Kingdom which were part of this Great Bharat, are now part of pakistan region which was given by the 1947 Indian Government, to become a Muslim nation. In the Ramayana era, the birthplace of Kaikeyi was "kekeya" Kingdom. This Kingdom is in Pakistan today. 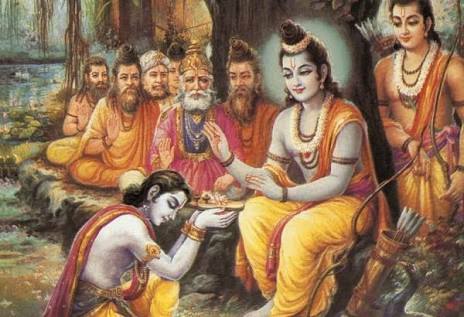 When Lord Rama was forced to exile to stay in forest by Kaikeyi, the king of Kosala (Uttar Pradesh) "Dasaratha" died. At that time, "Bharat and Sathrugna" were in the Kekaya land (Pakistan region). He left Kekaya and reached Kosala (UP, INDIA) after Dasaratha death. "Dakshashila" was one of place in current pakistan region, where poisonous snakes, and even the snakes from Pathala Loka used to reside. 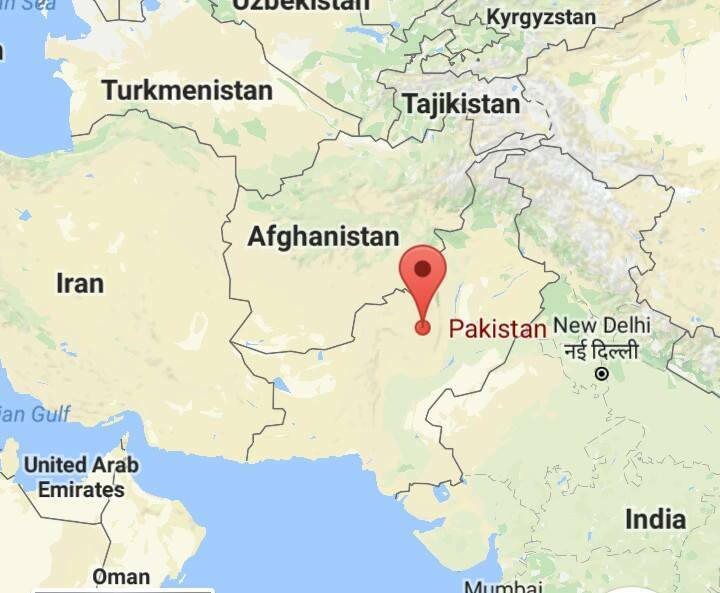 Bharat constructed his kingdom and named as "Dakshashila"
These two cities (Taxila, Peshawar) are in Pakistan today. The city of "Dakshishila" created by Bharat, has now become 'Taxila, Pakistan'. The city of "Purushapura", created by Bharat, has now become 'Peshawar, Pakistan'. The Towns created by Bharath have become islamic occupied places after seperation during 1947 by the government. 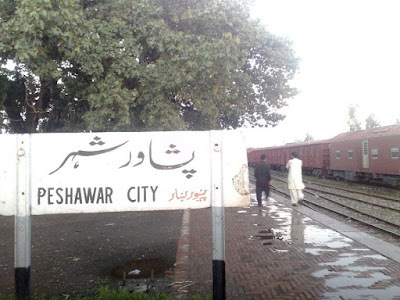 The original names of these Town are also modified to Taxila and Peshawar. Changing the Hindu City Names are the first work done by the converts. Portion of the Bharat nation, has unfortunately have become a Muslim nation today because of seperation. Vyasa Rishi, who wrote the Mahabharata, narrated the entire epic to his disciple "Vaishampayana"
It is in the city of Taxila, now Arjuna's family heir "Janamejeya" asked about his ancestors and Vaisampayana narrated the entire story of Mahabharat to him. Unfortunately, Dakshashila which is now referred as Taxila, in Pakistan, has become a Muslim occupied place. The son of Sri Rama, 'Luv' created and constructed the town called "LuvPura" which is also now part of Pakistan. The city is now mentioned as Lahore which is also a muslim occupied place. built by Rama's brother, Bharat, and Rama's son, Luv to the hands of Pakistan to become islamic cities. Even now, Bharat people of India, are failing to honor Lord Ram's in his birthplace "Ayodhya" which is in India which is not an islamic city like pakistan. People of Bharat in India, must realize least bit of Indian history to understand what we lost, what we should not least give up going forward in Indian Soil with past experience. Most of the Hindus temples and believes are threaten by the people who were converted from Hindu Families only. The Entire state of Pakistan were hindus or Buddhist 1000 years before, till the invasion of Muhamed of Ghori. Even Mohamed Ghori ancestor was once a buddhist who accepted islam due to his defeat in Afghan. 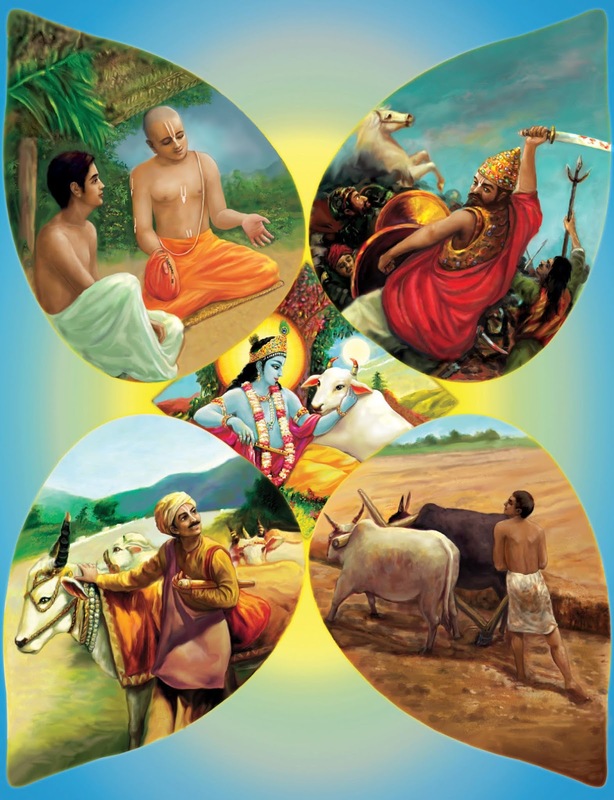 Peace, speaking of equal charity, are the Qualities of people in Sanathana Dharma (Hindus). These good qualities entertained the other religious missionaries to show guts to do conversion in Bharat Land thru money and threat. It is a fact that people who born as hindu and later got converted to other religion led to the destruction of Hindu culture by themselves or by the later generations. City of Luvpura by Rama's son Luv, now became "Lahore" of Pakistan. Few of The Hindus (People of Sanathana Dharma) due to their secular mindset, donated these Hindu Kingdoms to Muslim community at the time of independence and made these regions as Islamic cities as "Pakistan" during 1947 AD. These pseudo secular people during 1947AD, agreed to make these kingdoms to islamic cities due to lack of knowledge about the history and heritage of this Bharat Land and Lord Rama. Now how was Pakistan in the Mahabharata period? Let's see. Maadra Kingdom (Current Punjab region in Pakistan), was ruled by the Salya. Salya was a relative of Pandavas. Her daughter referred as "Madri" married the Kuru king "Pandu". Salya was grandfather of Nakula and Sahadeva. When Salya, Madra King decided to support Pandava for the War against Duryodhana, he took his army troops from Madra to reach Kuru kingdom (UP, India). Duryodhana, who heard this, offered a big feast to Salya King and his armed forces on the way to the Kuru Kingdom. Thinking that the Pandavas had organized this party, Madra King 'Salya' accepted the hospitality. Later, Madra King 'Salya' learned that Duryodhana had done this and made this arrangement. As per sanathana Dharma, one who gave food and hospitality, the receiver should accept anything that requested by the person who gave food. 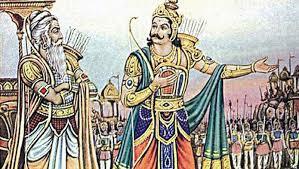 Duryodhana asked Madra King to allow his armed forces to fight from his side and be a charioteer of Karna during the war. The Madra king 'salya', who did not violate the charity, agreed and fought against Duryodhana. In the Battle of the Mahabharata, in the 13th day of war, Abhimanyu broke the Chakravyuha organized by Drona and entered inside the circle. 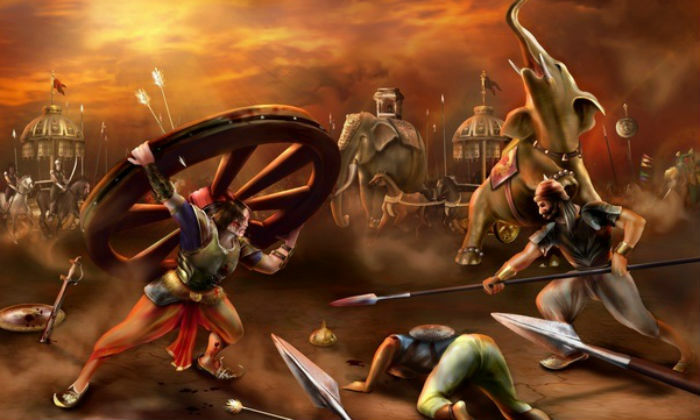 Bhima, Yudhistra could not follow Abhimanyu who entered inside the Chakravyuh. They were stopped by Jayadratha with massive army. 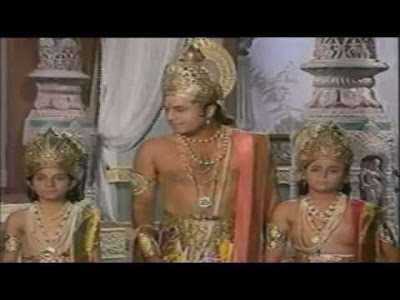 Later, the Madra king Salya's son "Rukmaratan" and Salya's brother, got killed in the battle by Abhimanyu. Abhimanyu also killed Duryodhana's son Lakshmanan. Drona realized that the defeat would be certain if Abhimanyu continues the victory. Hence Drona asked all his 6 Great Powerful Armed heroes (Krupar, Karna, Yadav's leader Krithavarman, Duryodhana, Saguni, Dushshaasan) to fight together and kill Abhimanyu. Mighty Warrior Abhimanyu, fought against all and killed Sukuni's brother and destroyed several thousand troops. Jayadrata born in Sindhu (Pakistan) kingdom, married Duryodhana's sister "Dussala". His father 'Vrithakstra' handed the land of Sindhu to Jayadrata and went to penance. Arjuna ran up and chased everyone, dragged Jayadrata and put him in front of Yudhishtra. Citing, 'Jayatrathan' is a husband of Duryodhana's sister agreed to pardon his greatest sin he tried against Draupati. Yudhistra asked Bhima to shave his head and make 4 or 5 tuft here and there and shame him and leave him alone. This way he wont go back to his Sindhu Kingdom least for next few months and hide somewhere in forest. "Vridhakshatra", the king of Kekeya (Part of Pakistan), fought on the side of the Pandavas. Drona killed him on the 14th day of war. Vrihathshathra's son Visokan also fought. Karna killed him in the war. Army General 'Ugrakarman' who saw the death of 'Visokan', rushed towards Karna's son 'Prasenan' and slayed him. Karna, who saw his son's death, cut the hand and arm of Ugrakarman with his arrows. When Jayadrata was ready to participate for the MahaBharat War, his father gave him a boon. "If you got killed in battle and if your head fall down, the person who made your head fall over the ground, his head will burst." Jayadrata was the main reason for Abhimanyu's death. On the 14th day of the war, the Kauravas set up the Sakravyuha, and hid Jayadrata. 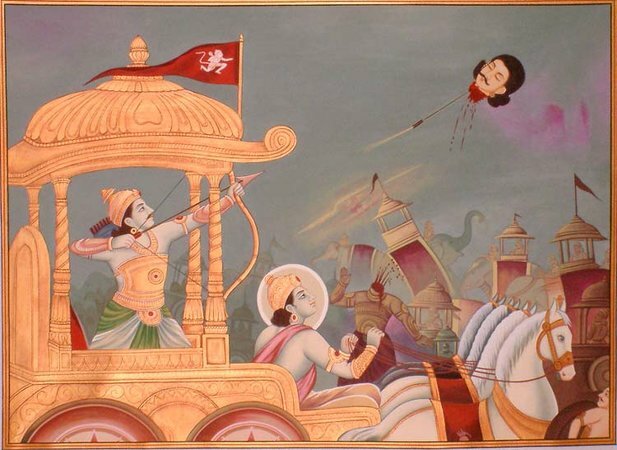 By the death of Abhimanyu, Arjuna fought with a terrible anger on 14th day. In this 14th day alone, 21,870 tanks, 21,870 elephants, 65,610 horsepower and 1,09,350 infantry were destroyed and killed by Arjuna. With the sun nearly set and thousands of warriors still between Arjuna and Jayadratha, Krishna sent his Sudarshana Chakra in order to mask the sun and create an illusion of sunset. The Kaurava warriors rejoiced over Arjuna's defeat and look forward for his imminent suicide. Jayadratha was hiding behind Duryodhana, relieved that he was saved. Therefore, he came out of the formation. Suddenly the sun was free from the eclipse and Krishna told Arjuna, pointing at the sun that the sun had not set, but it was only a solar eclipse. He then pointed at the hiding Jayadratha, telling Arjuna to sever his head. 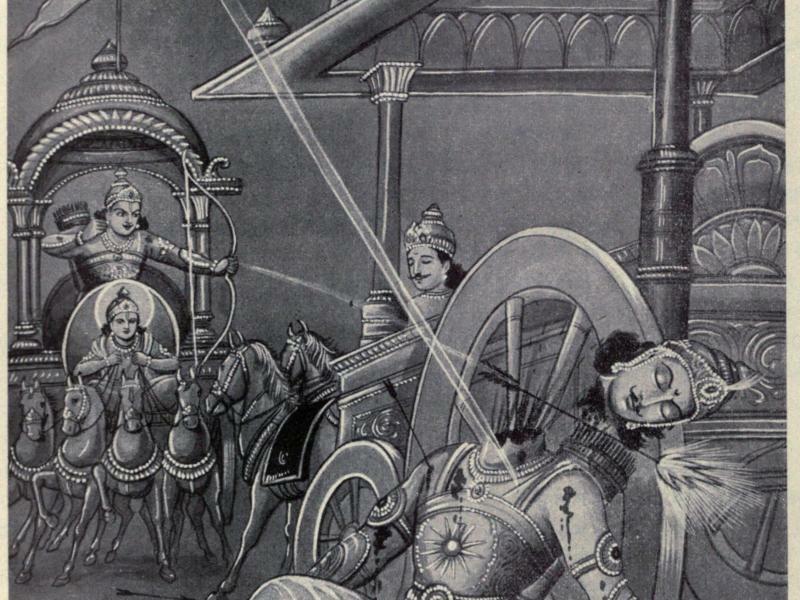 He then tells Arjuna to shoot the head into the lap of Jayadratha's father. Arjuna then quickly picked up his Gandiba (bow) and shot a Pashupatastra at Jayadratha. Jayadratha's head then flew away very far and landed on lap of his father, Vrithakstra. His father, got horrified at having his son's head in his lap, hurriedly got up. The severed head fell to the ground, killed Vrithakstra. During the war, lot of argument started between them. On the 16th and 17th days of the war, Shalya served as Karna's charioteer, while continuously praising the Pandava prince and citing Karna's shortcomings. Karna, who was angry with Shalya's arguments at the battlefield, recalled an incident that happened in the Drudharashtra's court and insulted Shalya Raja. When Vedic Brahmin came to Drudharashtra's court, and requested some lands for doing Yagya, Drudharashtra asked Madra King 'salya' to help the Brahmins by donating some lands for Yagya. By recalling that incident, Karna insulted Salya "You are King of Madra whose kingdom is filled with Valika people, which is a shame for our Vedic Culture"
Valika are those people who born in family of Sanathana Dharma (today we say Hindu) but live the life against Vedic principles and disbelief in Vedic gods. Narada says, More than anyone else, Valikas are the biggest stain to the humanity. These Valikas must be removed to protect sanathana Dharma. Madra King 'Shalya' is not a valika, but his people have started behave like Valika deviating from the Sanathana Dharmic life. During the epic fight with Arjuna, Karna's chariot-wheel gets stuck in the mud. Shalya didn't offered help. Karna got down and tried to move the chariot-wheel. Sri Krishna recalled incidents happened at Dhritarashtra Court where Karna initiated Duryodhana to remove Draupati's Clothes at the Court. Also Sri Krishna recalled Karna who tried to kill him, when his Chariot-wheel got stuck in the mud while trying to lift the wheel. In the end, Arjuna killed Karna with the Anjalika Weapon. Duryodhana named Shalya as the commander-in-chief after Karna's Demise. On the 18th day of war, Shalya got killed in battle with Yudhishthira. After the end of the Mahabharata War, Arjuna's grandson Parikshit was the only one left other than Pandava Brothers. 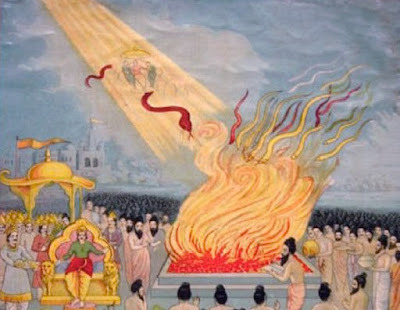 Yudhishthira decided to make Ashwamed Yagya to bring the nation under one regime. To gain acceptance from each countries, Arjuna went to all the countries with the armed force. Jayadrata's son "Suratha" was ruling Sindh region (Pakistan). 'Arjuna is coming with the force', he shouted to his armed forces with fear. Suratha ordered his forces to stop Arjuna. 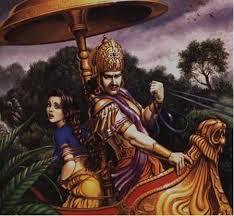 Duryodhana's sister Dhussala, ran to see Arjuna when she realized that Arjuna was coming towards Sindhu Kingdom. She asked Arjuna not to fight with her son. Because she is a sister in the relationship, Arjuna told that, "If you agree, that Yudhistra as the emperor of the earth, there is no intention of war." "Dhussala" had no objection to accept Yudhishthira as Chakravarti. 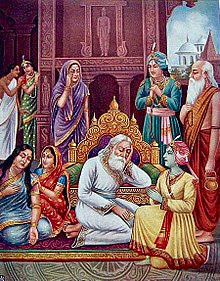 Jayatrata's son "Surata" become bedridden in the fear of getting killed by Mighty warrior like Arjuna who killed his father and his grand father together in the war. Even though Arjuna returned without war against Sindhu Kingdom, he could not recover from fear and died. Yudhishthira, who brought the world under his rule, made his journey to the Himalayas after Sri Krishna went to his Abode (Vaikunda). 'Parikshit' was appointed as the emperor of the world with no enemies to counter him. Due to a curse, a poisoneous snake called Dakshaka snatched away the life of Parikshit. The snakes around the world, came and killed themselves in the fire, like an iron gets attracted by a magnet.